Internet crimes also known as cyber-crimes include theft or fraud by utilization of the World Wide Web. 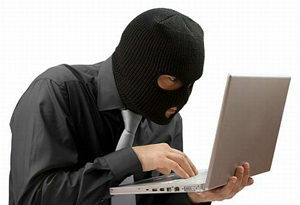 In recent years cyber-crimes have turned out to be progressively common and have developed into a huge worldwide crime. If you or your loved ones are accused or under examination for an internet crime in Broward County, Florida then, this is critical. You need to look for the legal advice and mastery of a criminal defense legal counselor instantly. At Michael A. Gottlieb, P.A. Broward Criminal Lawyer, we offer superior legal advice, guidance, resources and representation to our clients in need of experienced internet crime defense. If you have any doubt, please call us instantly. Our internet crime legal counselors can tackle any kind of offense or internet crime case with great transaction, aptitude and procedure. It is important that we meet with you as quickly as time permits. Attorney Michael A. Gottlieb, P.A. has more than 20 years of lawful information, experience and skill representing complicated internet crime cases. He will secure your legitimate rights whether it is in a state or federal court, with extraordinary consideration and strategic defense. Internet crimes on numerous occasions are considered a white collar professional crime and if indicted an individual may be sentenced to penitentiary or jail, up to 30 years, fines, compensation, group administration, probation and parole. If convicted of an internet crime it could leave a permanent mark on your criminal record.